I stumbled across this title while casually looking for one more book to add to my cart for a special Kobo 3-for-1 deal. I had never heard of the author before, but the it received praised from both Reese Witherspoon and my favourite author, Emily Giffin, so I figured why the heck not? I definitely don’t regret my decision as The Light We Lost really drew me in quickly and I had a hard time putting it down. In a nutshell, the main character Lucy is addressing her ex-boyfriend Gabe, telling the story of how they came together during a horrific time in history, and how they eventually grew apart and where her life took her after that. The book really makes you think about all the things that could’ve been, the what-ifs, and if-only’s of life. What if you chose a different university? What if you chose one partner over another? What if … ? 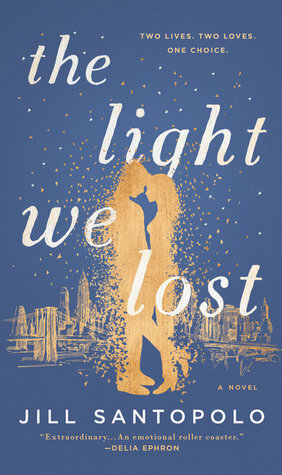 Although I found the ending to be slightly predictable, I still loved The Light We Lost and would definitely recommend it. « Race Recap: Run 4 Donuts!